I wasn’t quite sure what to expect in planning my visit to Nordicana 2015 as a guest of Arrow films. I’d hoped that it would be a meeting of passionate NordicNoir enthusiasts celebrating and sharing some superb viewing experiences. To my upmost delight it was exactly that. What also struck me was how informative it was in the cultural differences of our country, Sweden and Denmark. This was a very well organised event. The stands which held exquisite authentic food, drink, Dvd’s, books, jewellery and of course knitwear were all very interesting. 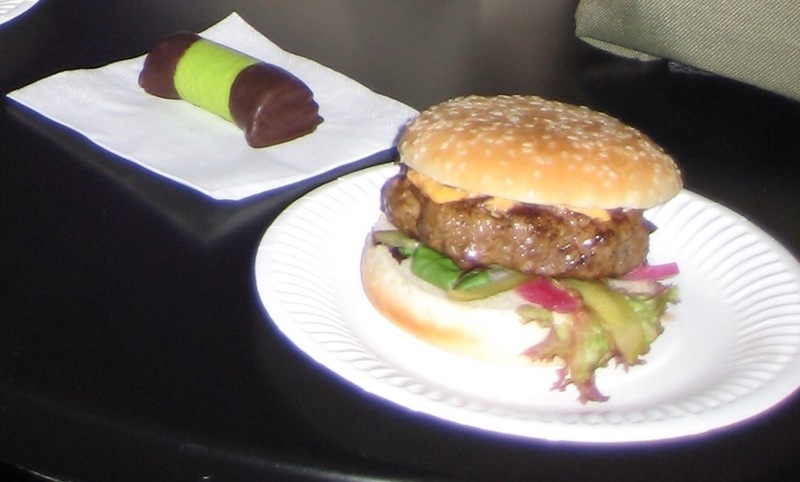 The reindeer burgers were a surprisingly tasty addition to the refreshments. The stars of the show were our heroes from the television programmes which we had all hoped would be there, were there and how charming and captivating were they. The panels which consisted of questions and answers were fascinating. I also felt that the additional fees to meet our favourite cast members was money well spent. Sophia Helin aka Saga from The Bridge couldn’t have looked any different if she’d tried however during the panel you could see very brief glimpses that were very faint traits of Saga. Sofie Gråbøl (Sarah Lund The Killing) was absolutely charming when you met her. Standing and greeting every person individually, which I hadn’t expected. After all, there was quite a queue to meet her but you felt like you were the only one who mattered, such a delight from such a talented actor. 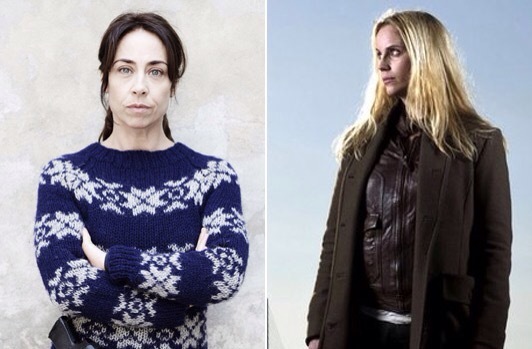 Now we can look forward to a new series soon called Jordskott which stars Moa Gammel pictured below. Set deep in a forest this promises to have us gripped from the start. What was great about Nordicana was the atmosphere. There was no trouble everybody was there to share in the experience and enjoy. I had a few conversations whilst waiting for various things to happen and everyone was genuinely enjoying the day.